Is it game day? Are you having a party? 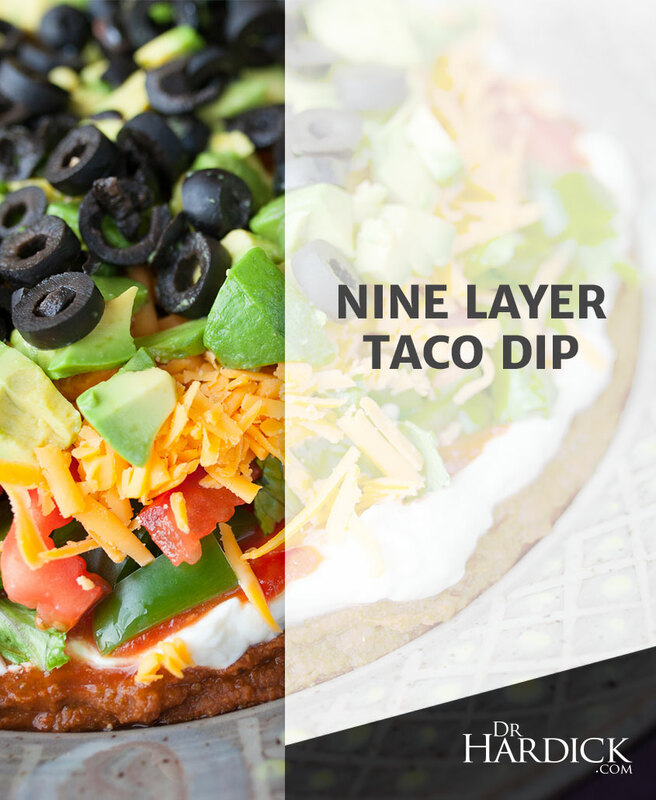 Either way, this Nine Layer Taco Dip will have everyone hovering around the snack table! 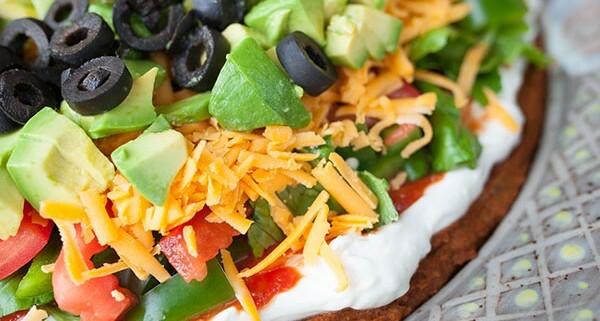 A widespread mix of layered organic vegetables perfectly paired with a combination of spices, cheese, and beans takes this nine layer dip to the next level of party food. 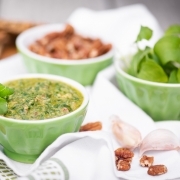 Serve it with organic flaxseed crackers and fresh organic vegetables. In a medium bowl, blend the taco seasoning mix and refried beans together. Spread the mixture onto a large serving platter. Mix the sour cream and cream cheese in a medium bowl. Spread over the refried beans. 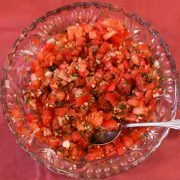 Top the layers with salsa. 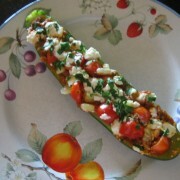 Place a layer of tomato, green bell pepper, green onions and lettuce over the salsa, and top with Cheddar cheese. 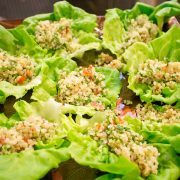 In a small bowl, mix the diced avocado with lime juice. 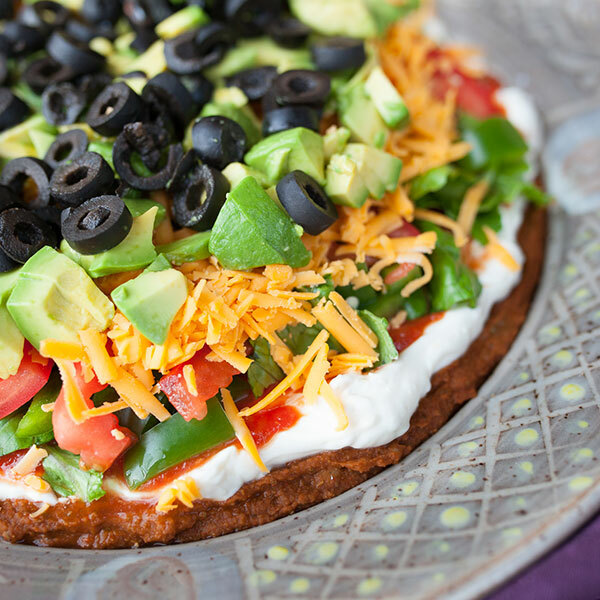 Garnish the layers with black olives and avocado.